Today is the first day of Book Expo America (BEA) in New York. Unfortunately, I am not in New York this week. So I'm joining in the Armchair BEA. Today is the day for introductions. I look forward to getting to know everyone. Here's a bit about me. My name is Julie and I've been blogging here at My Book Retreat since October 20, 2009. Almost 4 years!! It's hard to believe it's been that long. I originally did my blogging on another blog where I wrote about activities I was doing with my kids. I started sharing some of the books I was reading with them, and decided it would be fun to share the books I was reading myself as well. So I started My Book Retreat. Now that my kids are older, I've shut down the old blog and am focused on this book blog. I work full time as a content strategist for a large corporation. I work from home, which is very convenient. My kids are finishing up kindergarten and 3rd grade, and it's nice to be here when they get home from school every day. It saves us a lot of money in afterschool care too!! But working full time and taking care of two kids means I don't have tons of time to read and write reviews. I try to get through a book a week, and try to write a review each week. But this year, things have been a little slower than in the past. Where in the world are you blogging from? Tell a random fact or something special about your current location. I am blogging from North Carolina. I've lived here for about 12 years now ~ I grew up in the northeast and relocated here after my husband and I finished our master's degrees. We decided we were ready for a climate change and a lifestyle change. Things are much more laid back here and the weather is incredible! Have you previously participated in Armchair BEA? What brought you back for another year? I have participated in Armchair BEA before. I honestly don't have a lot of time to devote to book blogging, so I enjoy events like this because they get me involved in the community ~ even if it's for a short time period each year. I love discovering new blogs and new books to read, and this is a great time to make those discoveries! What is your favorite book you have read so far in 2013? I've marked three books as favorites for 2013 so far. It's a pretty eclectic set of books, which I think represents my eclectic reading preferences. 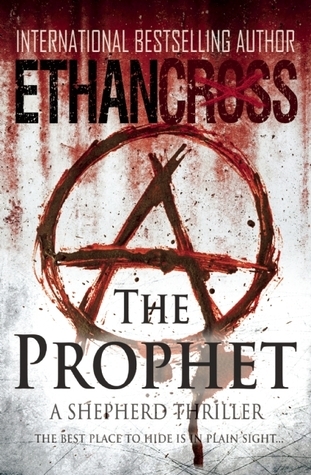 The Prophet by Ethan Cross is a fantastic horror/thriller novel. It's part of a series, so you'd want to start with the first: The Shepherd. Wool by Hugh Howey is a book that a friend turned me on to and it's great. It's a science fiction novella, so it's a quick read. 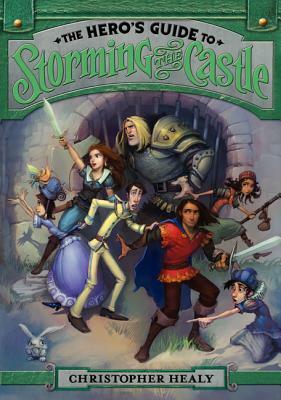 The Hero's Guide to Storming the Castle by Christopher Healy is another sequel to a great book: The Hero's Guide to Saving Your Kingdom. This is a very humorous middle-grade fiction series about the princes charming. 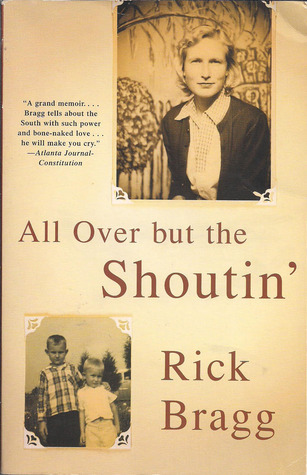 All Over But the Shoutin' by Rick Bragg is a memoir in which the author describes growing up in poverty in rural Alabama and his rise to Pulizer Prize-winning journalist. I'll have my review up on Friday for the discussion on non-fiction. A book a week is what I average out to as well, and I don't have two children in the mix! Thanks so much for stopping by - and for following!! Nice to meet you - ha ha. I feel like we are old friends. Wouldn't it be fun to meet someday and talk books for hours? I've been having trouble with one review a week, too, but I keep plugging away. I know I am involved with too many things but it's hard to drop stuff you enjoy. If only I could give up all the hours I spend on household/family management - insurance claims, bills, phone calls, doctor's appts, etc. Dream on, right? Enjoy the rest of Armchair BEA - this is the first year I've tried it! Sue, I would LOVE to meet you someday! We would need a whole weekend to talk about books - and read!! I need to get back on track with regular reviews. I did go in spurts!! That's fantastic that you have been blogging for quite a while. You are so lucky to be able to work at home. It's really handy when the kids are young. Welcome to Armchair BEA! Thanks for stopping by! Enjoy the Armchair BEA!! I love it here in NC! I can't imagine anything making us move away from here - at least until we retire! Thanks for stopping by!! I do want to read Ethan Cross's series. Have a great week. You should definitely check it out! Have a good week! Hey there to a fellow Julie :) Nice to meet you! Nice to meet you, too! Thanks for stopping by! 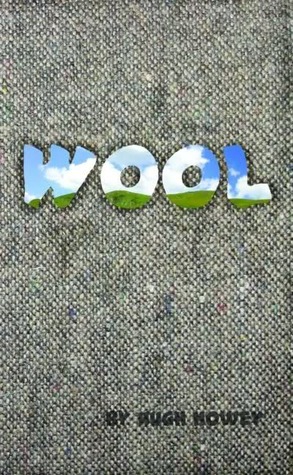 I'll have to read Wool, heard great things about that one. It's very quick - I read it in one sitting. So definitely check it out. What a treat working from home! I am sure your kiddos really appreciate it! A book a week is a pretty good goal (I feel like a slacker)! I look forward to seeing you around ABEA! Thanks for stopping by! Yes, it's been very nice working at home all these years! I've been doing some work at home the past few months and I always find myself wanting to surf the internet than work. LOL! it takes discipline but love spending the entire day in my pjs.